Live At Slim's (Bonus DVD) recorded by Chris Ienni and Vinnie Palese. Thayer McClanahan, and Chris Spanninga. Ask anyone who was lucky enough to squeeze into Cicero's Basement Bar in St.
Tupelo play a show. 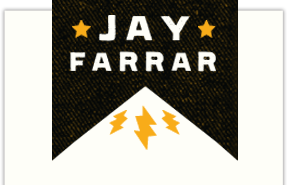 Even way back then, Jay Farrar was a riveting live performer. 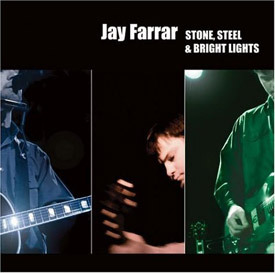 Farrar's performances have gained in depth and in craft since those days. solo performances in recent years, you already knew that. to capture his distinctive live performances? and try out new material. Candle" — are triumphantly reimagined on the new record. breathe seemed the way to go instead of retracing the original CD versions." acoustic guitars and made the tempo faster," observes Farrar. Canyon to back him on the tour that produced Stone, Steel and Bright Lights. to the challenge of translating Farrar’s newer songs from studio to stage. as a working band to these songs,” he says. an early Uncle Tupelo stronghold and a frequent pit stop on Farrar’s tour itineraries. a chiming piano and mournful lap steel. with the idea of rebellion against the status quo in a music industry context. as lap steel and keyboard wash over Farrar’s voice. same record’s “Clear Day Thunder” packs a gritty, downright menacing wallop. 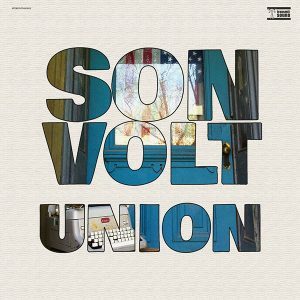 a straightforward and kinetic voice on this record. the covers of “Lucifer Sam” and “Like a Hurricane,” make up the bonus disc. of fans who find their own 6 String Belief in Farrar’s music.